Germino Amplifications goal is to make available the best sounding, most reliable "plexi" inspired amplifiers using the finest components and with unparalleled workmanship. 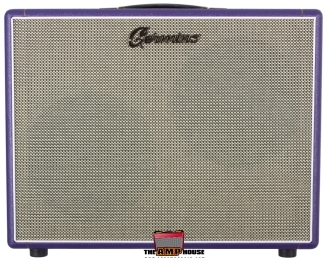 Germino amplifiers should satisfy the most discriminating players and give them the sonic attributes of the classic tones from the 60's and 70's. Take the classic design of the Lead 55LV and use a smaller output transformer, a pair of 6V6'S along with GZ-34 rectifier and you have one of the best sounding club amps on the current amplifier market. Seen in the back line of national tour the Masonette is a responsive, fun to play amp that gives up the goods early without making the soundman mad! Our own recipe of values in this circuit along with a late plexi split cathode preamp section gives plenty of breakup even at lower volumes. A slide players dream amp... Built like a brick house! Custom wound PT and OPT by Heyboer, aluminum chassis with folded and spot welded corners. Meticulous Craftsmanship along with incredible tone is what makes the Masonette 25 stand well above other amps in this output range. Price includes $100 master volume option. The Master Model 50 uses a dual EL-34 output section and "lead" circuit values. This is the Lead circuit used in 1979 JMP-50 model 2204. The Lead 35 and Bass 35 are lower wattage versions of the 55LV and Club 40 (50w) using the same Lead or Bass circuit of these models with a completely new transformer pairing. These models max out around 35 watts and are in the same output wattage range as the Masonette 25. The Club 40 moves from big beautiful clean tones to bold crunch effortlessly and excels with either single coils or humbuckers. This amp is very responsive to volume control adjustments from the guitar and gives the user extreme flexibility running the amp with or without pedals. An array of early tones that go from incredible cleans to the definition of British crunch are all there. Pushed, the Club 40™ gives great response and singing single note lines. The perfect amp for a semi clean/slightly distorted tones with single coil or humbucking pickups. Price includes Master Volume and Rectifier switch upgrade. An incredible sounding amplifier with all the classic late 60's and early 70's sounds. Goes from a slightly crunchy clean to a thick smooth lead tone with just a twist of the guitar's volume control. This is the sound of the famed 1968/69 plexi 1987 model at it's very best. New lead 55 with optional master volume and rectifier switch. The Classic 45 faithfully replicates the tone of an original JTM-45, only better! This amp is a delight to play being as at home doing "Beano" era Clapton as it is replicating AC/DC to early ZZ Top. The Classic 45™ goes from an amazing clean tone to the best crunchy overdriven sounds imaginable. Excellent bottom end, incredible frequency response and exceptional 3D balance are all there to enjoy. Price includes $100 Master Volume upgrade. Based on the original "Super Amplifier" from the 1966 time period also known as the JTM-45/100. 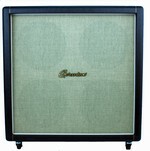 Original examples of these early amps are getting harder and harder to find, and prices keep escalating. The Germino Monterey 100 "Super Amplifier" is a faithful re-creation of the JTM-45/100 in every way with extreme attention to detail in build quality and components. The sound is unmistakably vintage with it's huge full sound evoking memories of Fresh Cream, early Hendix and early AC/DC. Slightly over 40 years ago the sound of modern rock-n-roll took a significant step forward with the introduction of the ?Super Lead? 100 watt amplifiers. 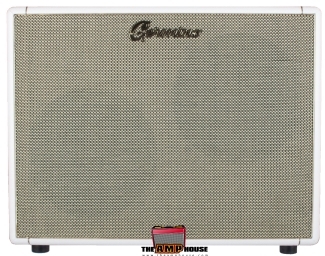 The Germino Headroom 100 specifically emulates the sound and construction of the very early 68 100 watt plexi panel Super Lead and Super Bass amplifiers to exact detail! From the very first glance of the zinc plated steel chassis and plexi panels to the perforated tag board assembly the workmanship and attention to detail is simply stunning. The early Super Lead's from 68 were the first to use a circuit specifically voiced for lead guitar with split cathode pre-amp, specific values in the tone section and output stage as well as a brite cap for an automatic brightening of the amp at low volume. 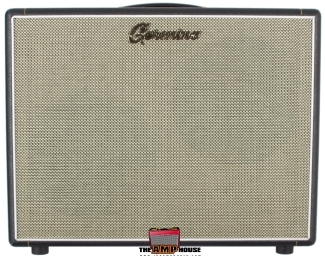 The Germino Headroom 100 is available with either a Super Lead circuit for the ultimate in singing sustain or, Super Bass circuit values for those wanting a cleaner amp with a more rounded tone. Price includes master volume and NOS Mustard cap upgrade. All Germino cabinets are made from Baltic Birch ply with finger jointed corners for strength. Baffles and back panels are made of Baltic Birch as well. Stainless steel hardware is used throughout in assembly. Grille cloth is original style basketweave that is salt and pepper in color. This is obtained from the original supplier in the UK that Marshall used in the late 60's and early 70's. All cabinets are made from Baltic Birch ply with finger jointed corners for strength. Baffles and back panels are made of Baltic Birch as well. Stainless steel hardware is used throughout in assembly. Grille cloth is original style basketweave that is salt and pepper in color. This is obtained from the original supplier in the UK that Marshall used in the late 60's and early 70's.